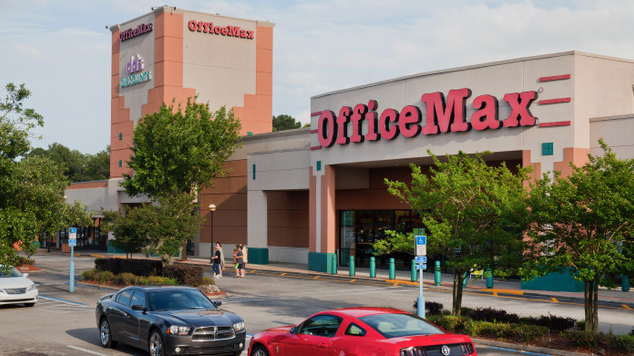 Terry Harris is developing Sk8CityJax in the Regency Court Shopping Center. 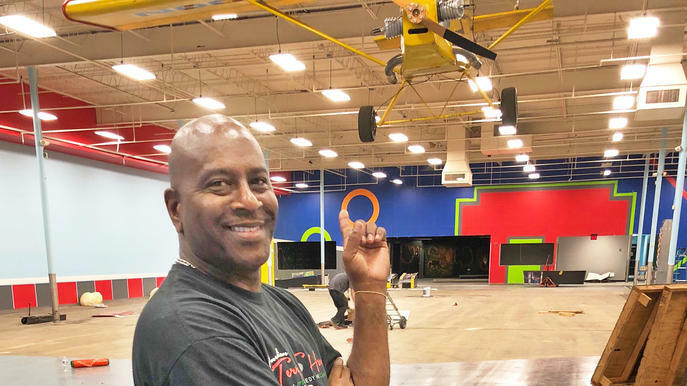 Terry Harris represents Sk8CityJax, which wants to open a 29,700-square-foot roller rink at 9244 Arlington Expressway. He told our Jacksonville Daily Record news partner the venue will include roller-skating, rollerblading, bumper cars, bounce houses, an arcade, four party rooms, a concession stand, skate rental and other areas. There also could be batting cages, a small movie theater, maybe a stage for stand-up comedy and other areas as he works through the space. A 7,000-square-foot roller rink will dominate the venue, which also will feature a nightly laser-light show and a DJ. “We're going to have the best lighting and sound in Florida,” Harris said. The Jacksonville native said he graduated from Ribault High School and recently retired from JEA as an electrical technician after 30 years. He also is a retired chief master with 35 years of service. In addition, Harris is a professional stand-up comedian and motivational speaker. “My story is to give back to the community that has given to me so much and to provide fun inspiration and hope in the lives of our children,” he said. “We've got to help our children,” he said. Harris said SK8CityJax also will be used for summer camps, STEM and after-school programs, skate lessons and private and corporate events. He also wants to offer community classes, such as financial literacy. Harris expects SK8CityJax will be open daily, with weekend hours noon to 10:30 p.m. Weekday hours are still being set. There will be a night for military discounts and an adult skate night. Concessions will include pizza, hot dogs, popcorn, pretzels, ice cream and soft drinks. He said he's thinking about offering beer and wine for the adult skate night. Harris represents TSH Capital Ventures, which he leads as president and registered agent. The location had been the site for the Family Fun Zone, whose sign is on the building, but that didn’t open. The landlord declined comment about the business. Harris said he took over the space and will submit plans to the city to complete renovations. Regency Court, across the Arlington Expressway from Regency Square Mall, is adding tenants. 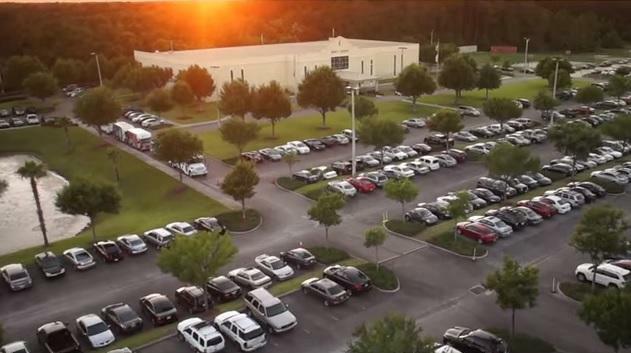 Mishorim Gold Jacksonville LLC bought the center for $5 million in November. It was sold by 9276 Arlington Expressway Holdings LLC, a bank trustee and asset manager that had taken title to the property. Mishorim USA Partner Mark Gold said in January he was eager to lease Regency Court and was seeking family-friendly entertainment options. The Family Fun Zone was expected to offer an arcade, party rooms, a laser zone, indoor glow-in-the-dark mini-golf, electric go-karts, bumper cars and other features. Harris is adapting those spaces for his concept. Regency Court comprises 220,000 square feet of retail space on more than 17 acres at 9200 to 9398 Arlington Expressway, opposite Regency Square Mall. Property records show the 11 buildings were built from 1973 to 1985. Major tenants include Youfit Health Clubs, Rooms To Go, Lumber Liquidators, HoneyBaked Ham, Longhorn Steakhouse, Pearle Vision and K&G Fashions. Expected to open soon are Surge Adventure Park, Jacksonville Axe Throwing, SK8 City and the seasonal 13th Floor Haunted House. Surge is planned in the former Sports Authority space. Gold set up a leasing and management office on-site and enlisted CBRE Inc. Associate Lara Bahri to assist with leasing the space. Mishorim is based in Richmond, Virginia. Gold said it buys older shopping centers with vacancies and invests in renovating and leasing them. You can see an additional photo of Harris at The Jacksonville Daily Record. 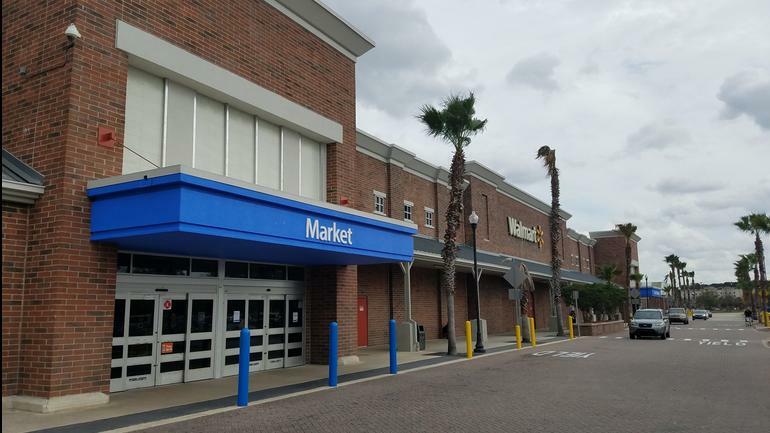 The Shopping Center Group announced Tuesday it represented the seller in the $10.8 million sale of Regency Plaza along Atlantic Boulevard near Regency Square Mall. Walmart will remodel its Regency-area supercenter at 9890 Hutchinson Park Drive.